Whatever your bedroom decor we will have a fabric to suit. 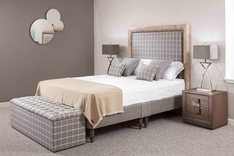 Available in almost any colour and fabric, designing your own bespoke bed is a simple 3 step process just select your Style and Size, Feet and Storage Options and the Fabric and we will create it for you in our workshop. 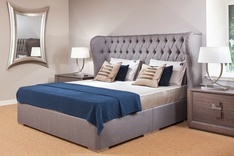 Alternatively using your own design we will make your customised upholstered boutique bed in our factory or adapt one of our styles of top quality handmade beds and headboards to the latest 2019 fashion trends to suit your needs, just show us your ideas or sketch and we will take it from there. 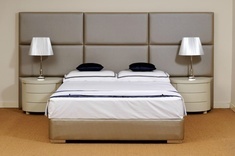 All our bed styles shown below come in an almost limitless variety of colours and fabrics. Choose from our vast range of fabrics or supply your own FR cloth for the unique bed of your dreams. 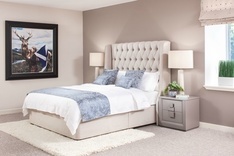 Your bespoke bed will be made in our Glasgow workshop so whichever bed you choose you know it will be made especially for you. 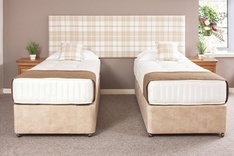 We also specialise in making any custom size, odd size and low beds and bed frames with or without upholstered headboards. We will make a bed to any size you require. 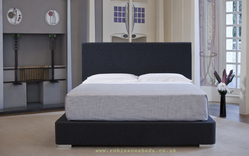 Whatever your design or size requirements we can custom build a bed that suits you and your bedroom perfectly. 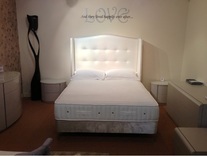 Phone 0141 632 1384 to discuss details of our Custom Made Beds or visit our factory showroom in Glasgow.